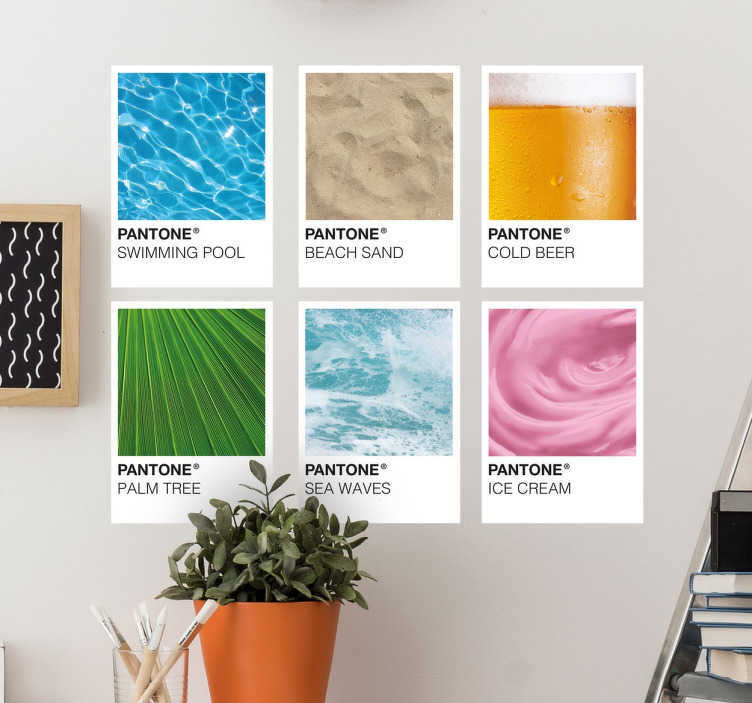 Bring the spirit of summer right into your home with this original decorative wall sticker featuring the Pantone colours of summer! Featuring six swatches of different elements of summer life including palm trees, ice cream, sand and beer, this sticker is applicable to any hard surface! As easy to apply as it is to remove, this vinyl leaves absolutely no residue upon removal!